Look for a Neurologist to get the proper diagnosis and to conduct the clinical examinations, which are 90% accurate. In those exams should be the neuropsychological evaluation that determines the memory loss degree of the person. This will help to understand the changes of behavior generated by oblivion, and will clarify if these changes are age related, or if there is a cerebral damage. The changes in the behavior of the affected person become evident as the disease evolves and are areas that show the deterioration of the memory and the neuronal affections. The person can undergo memory, attention, language, logic, perception, or calculation changes. These can be detected at home, by observing the relative and with the neuropsychological evaluation done by a specialist. This is the starting point for all cerebral stimulation programs. Behaviour changes may appear, such as depression, distresses, irritability, apathy and mood swings such as aggressiveness, loss of interests or motivation. The emotional area must be taken care of so the patient keeps his tranquility and peace. When the mental aspects (memory alterations, for example) and the emotional aspects (lack of motivation and similar) affect the autonomy and independence of the person (not being able to go out alone), you can think about dementia. This must only be diagnosed by a doctor. Every member of the family must inquire and understand what the disease is, its stages and how to handle it. This must be done by researching valid sources that give accurate information about the disease, do not settle only with what the doctor says or what can be found trough the internet. They must go to a specialized center, as the disease is complicated and symptoms can quickly change. There are drugs that treat mental symptoms, and others treat behavioral alterations. In the behavioral changes, a psychiatrist's help is needed, as he is trained in these kind of treatments that use antidepressants, neuroleptics, and even hypnotic drugs. These drugs may diminish symptoms such as anxiety, sleep disorders, aggressive behavior, depression, hyperactivity, etc. 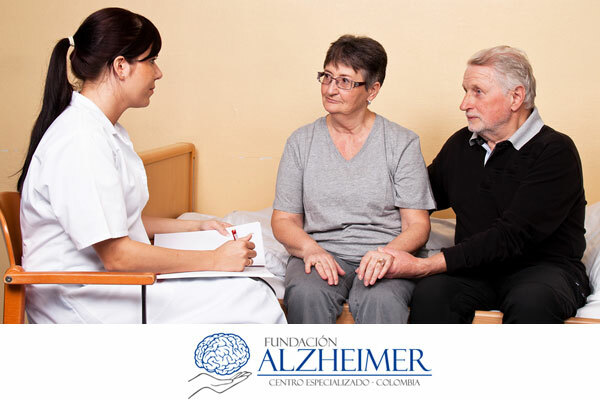 These are mental stimulation programs, designed for patients affected by Alzheimer's in order to delay their mental deterioration and strengthen their physical, mental and social skills of the affected. These programs consist of specialized therapies that change with the disease's evolution, taking as a starting point the patient's cognitive state evaluation. These programs must only be performed by professionals.